We’ve been driving around parts of Panama City the past week and a half during our off time, mostly around Albrook and Balboa areas. It’s been weird knowing that I’ve been here before, but not really the same areas. See, this is the first country, really the first city, I’ve been to as a civilian that I once spent time in while I was in the Navy. I knew some of the area was familiar, but in that general “yeah, this seems familiar” kind of way. Driving through a part of Balboa, it hit me: I’ve been THERE before. I recognized the little shopping area where I bought a hummingbird carved from a nut, and where I bought a painting that still hangs on our wall at home. I even drove by (a couple of times now) the McDonalds that we all ate at, and that I ordered an “hamburgesa sin carne” (hamburger without meat, for a vegetarian friend). 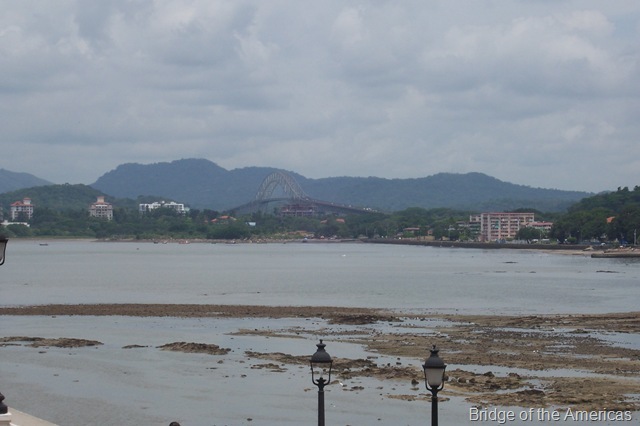 I’m going to see the Panama Canal this coming Saturday as a tourist. The last time I saw it, I was in the middle of it on “el barco blanco” – the USNS Stalwart (T-AGOS 1). I am a changed man since I was here last, so my feelings aren’t coming back like I want to re-live those days, but man, it’s a strange feeling some time. I’m glad I can remember some of the past and see the difference in my life now, and sometimes I’m glad that I don’t have memories of other things. But the truth is, I have more than enough, and don’t always want the ones I have. The main point is, this to me is proof that you can begin again. I’m in the same place physically, but a totally different place spiritually. I can have good memories and not get caught up in bad ones. I can be thankful that I’ve had the opportunity to travel all over the world, serving my country in one life, and serving God in another. Wonder what’ll come up next? I’m excited to find out myself. Wednesday nights at church have been pretty interesting the past month or so. I’ve been part of a class for parents and educators of children with ADD/ADHD. I’m neither, but it seems like a perfect fit for me since I’ve been living with ADD for over 20 years now. In fact, just getting to the class was the result of ADD. Each quarter, MRCC has a varied selection of classes, many of which I am interested in attending. This time, there were three that seemed like winners for me, but I settled on studying Leviticus. The first Wednesday of the quarter, I started heading to class but before I did, decided to look at the class listings one last time. A class on the book unChristian had been on my mind earlier, and my mind said “hey, let’s go to that one!” Yes, my mind often talks to me. Heading to class, I passed by the classroom where “Marching to the Beat of a Different Drum” was being watched and discussed. My ADD mind led me right there. Too many decision opportunities presented themselves and that’s what happens most time, I just randomly pick one. Fortunately for me, those decisions seem to work most of the time; when they don’t, I can give it another try. This ended up being great for me, and I think for others in the class. I’m not necessarily whom the class was for, but I think I’m bringing to the table a look at what an adult who grew up with ADD looks like, struggles and victories alike. So the whole point is this: ADD is something that’s challenging, but usually ends up being a blessing in various disguises. How about you, have you had ADD moments like this that ended up being great? Let me know in the comments below.